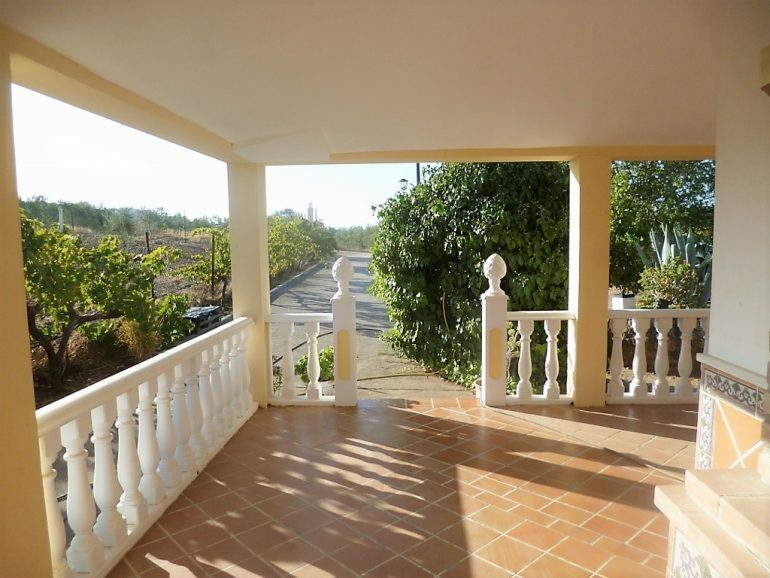 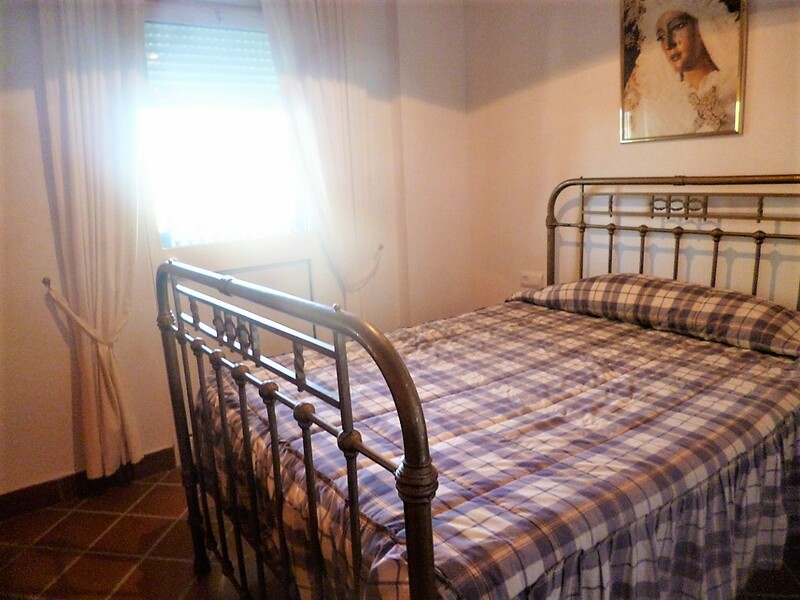 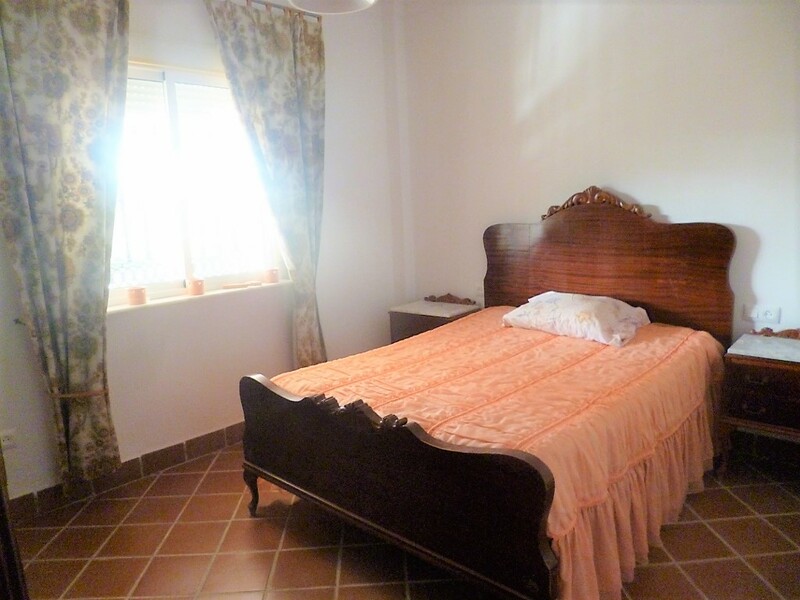 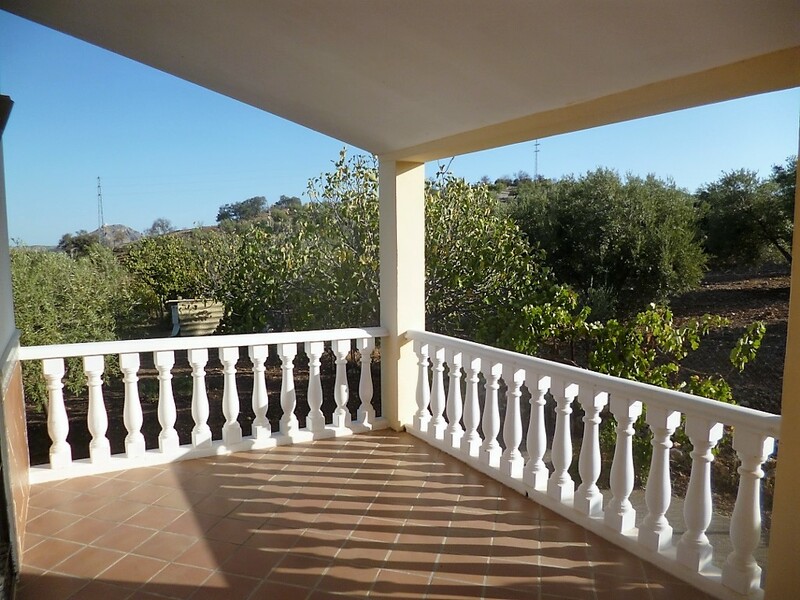 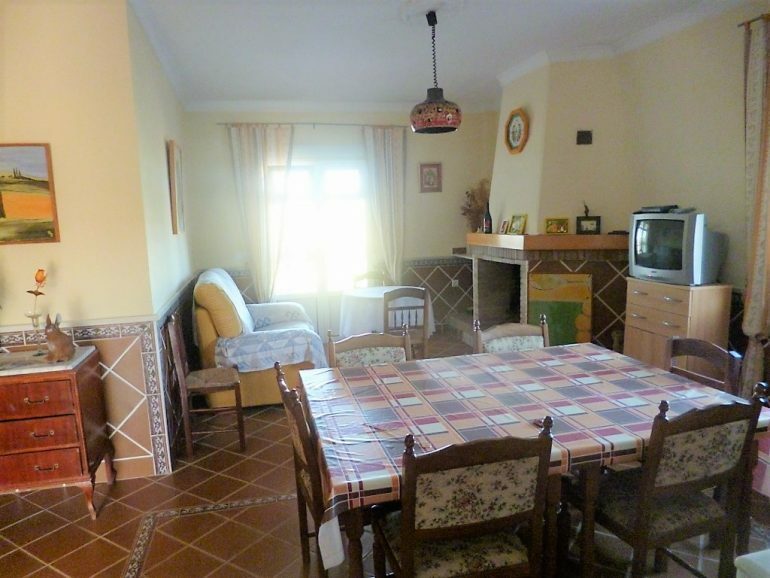 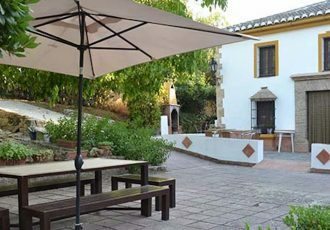 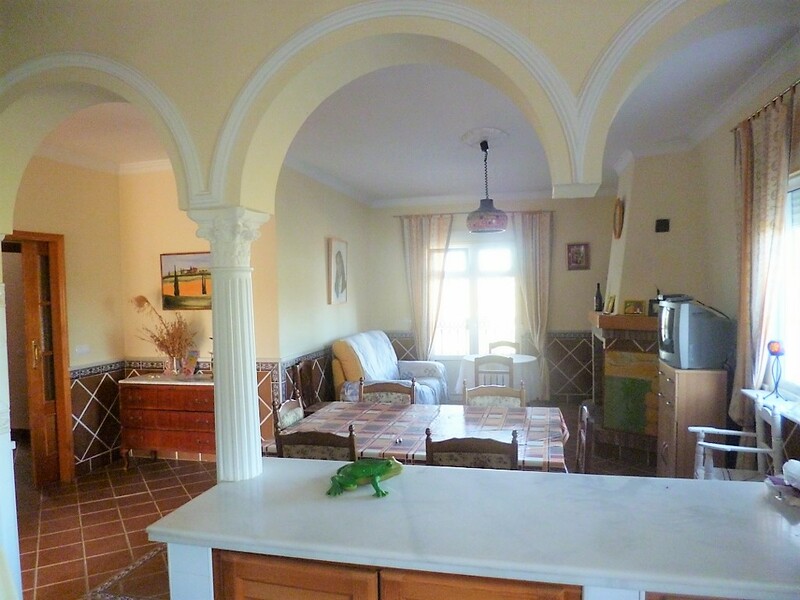 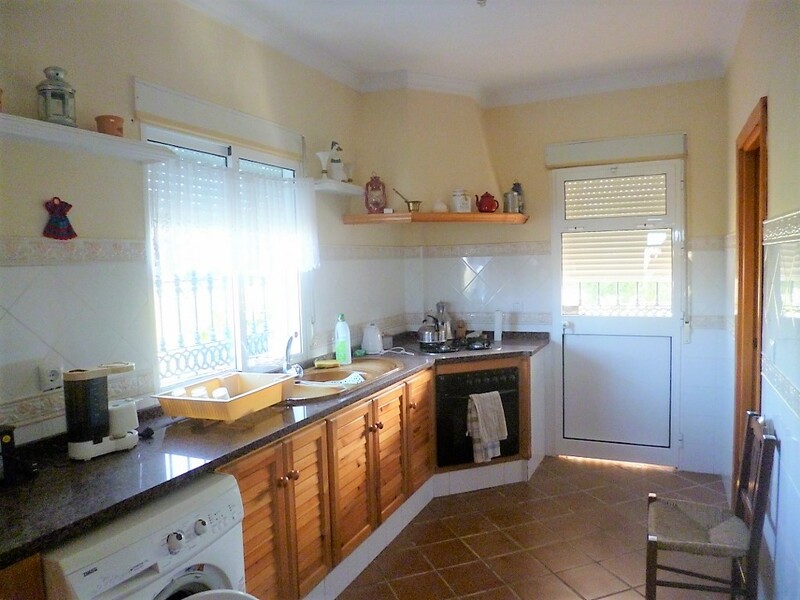 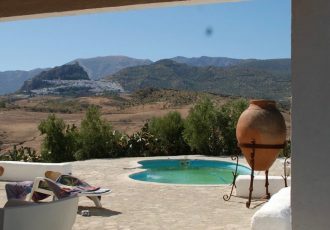 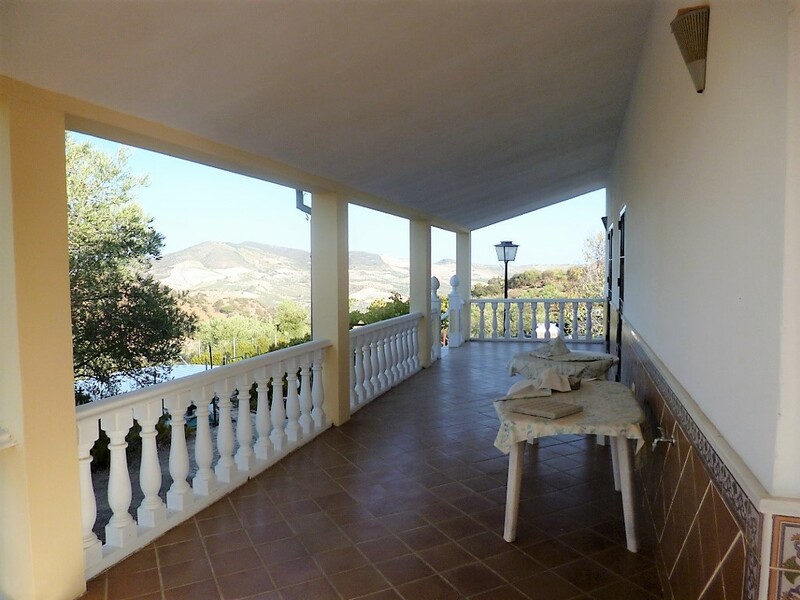 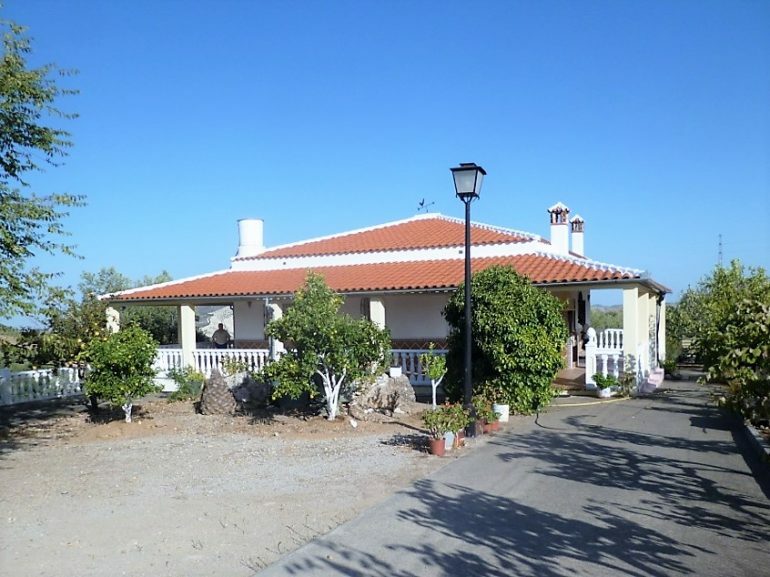 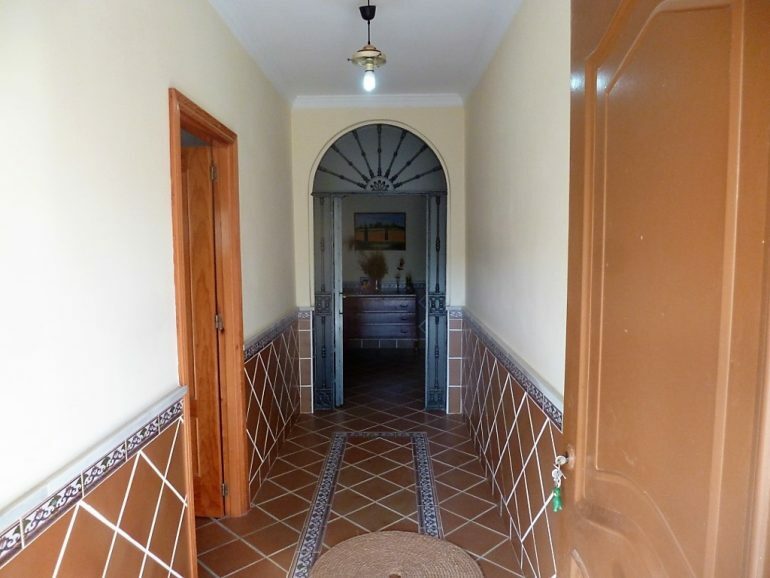 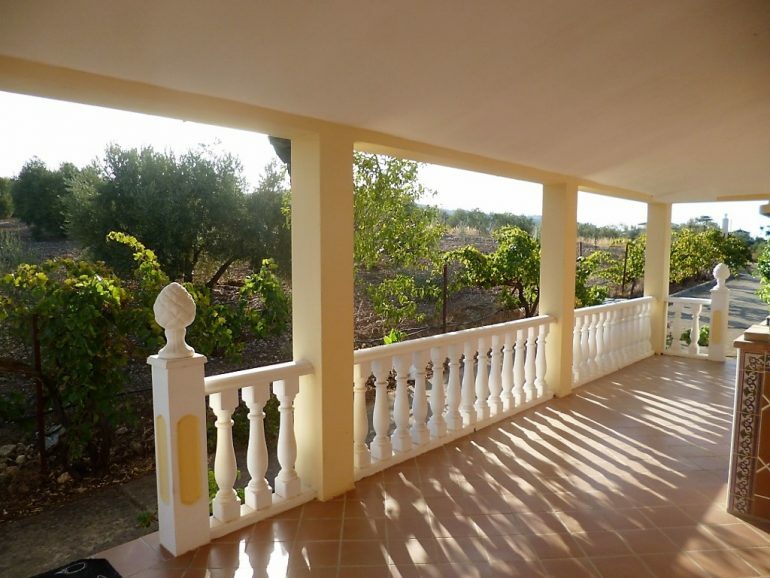 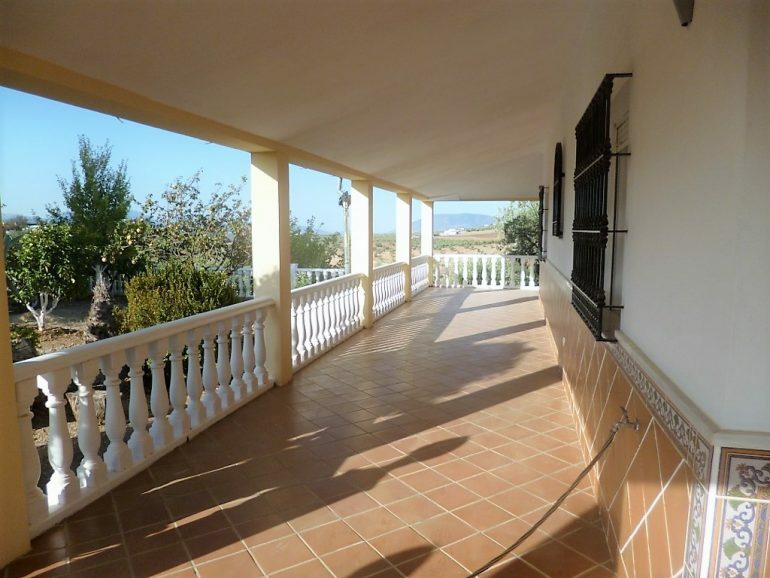 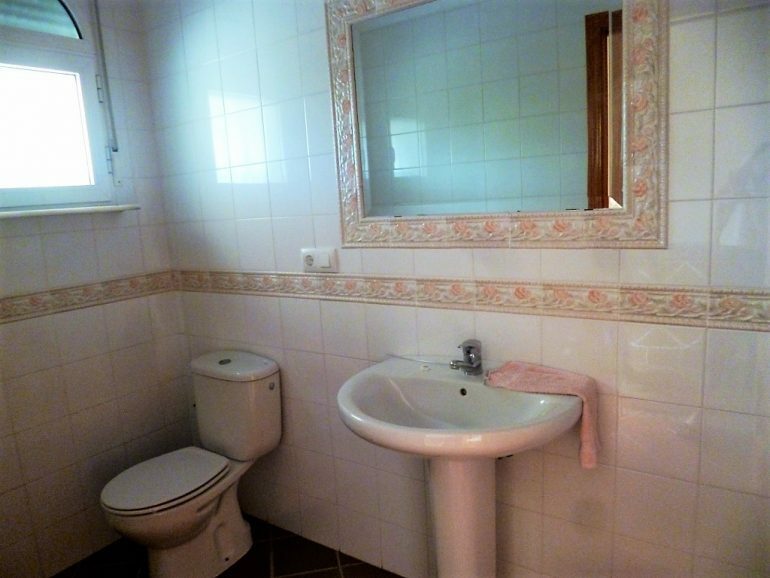 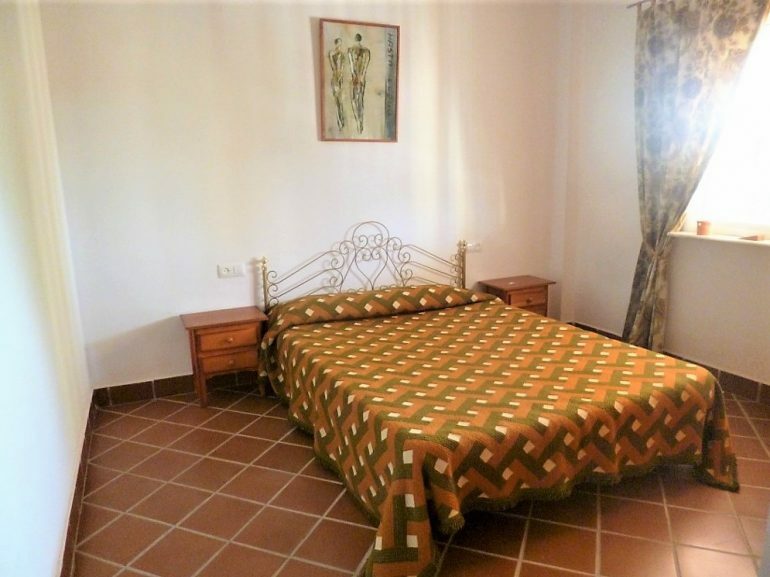 This is a quality traditional country chalet set in a beautiful and peaceful location just minutes from Olvera it sits in a fenced plot of land of over 12,000 square meters and is built to the highest standards with , 360 views and wonderful covered porches around three of its sides, an ideal home in an ideal spot. The property is accessed by a short distance of gravelled track , the pretty entrance gates lead into a flat area of simple garden and drive way with shaded parking area. 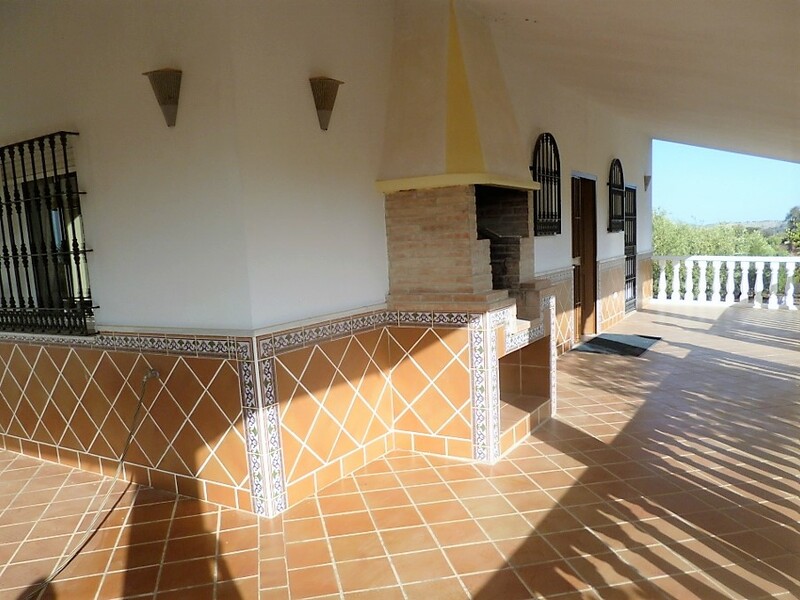 a couple of tiled steps lead up on to the covered porch with built bbq area. 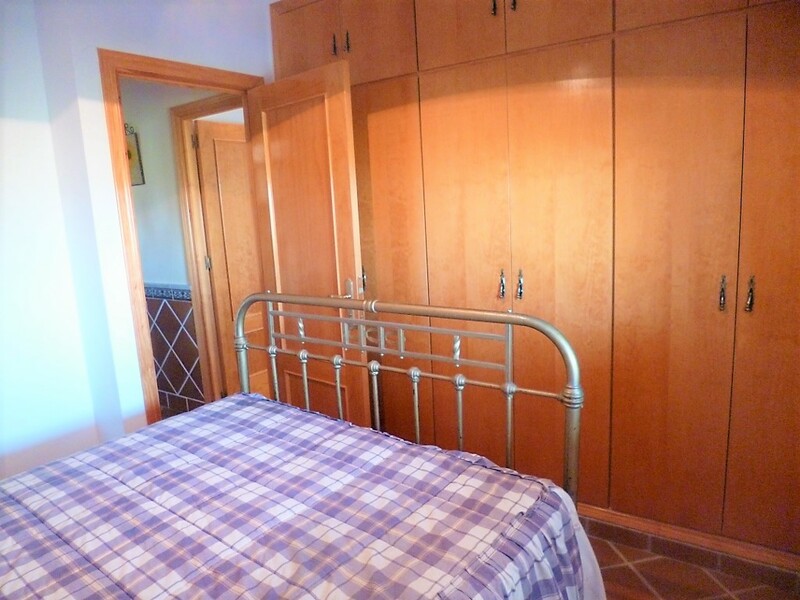 Once inside the house offers comfort and tradition with all the mod cons all on one level, you have a small wash room just inside the door and a long corridor at the end of which you have the semi open plan , living dining and kitchen area , the kitchen is fully fitted and has a walk in pantry, and half glazed door to the covered patio, a breakfast bar with arched features separates the kitchen area from the dining and living area , there is a working fireplace and double doors leading out on to the patio. 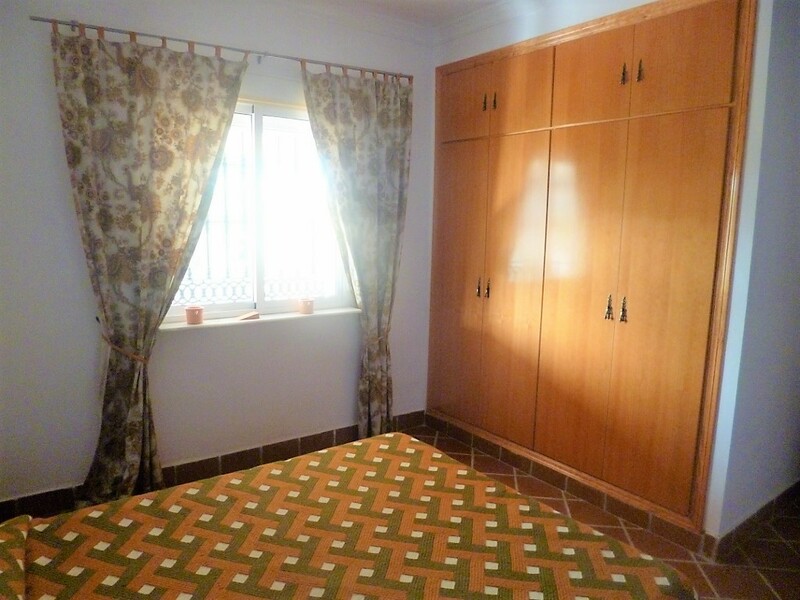 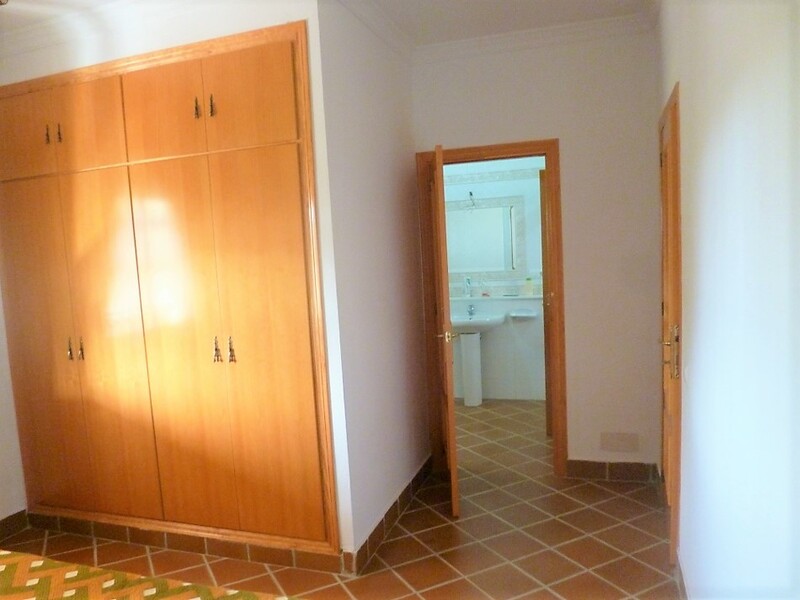 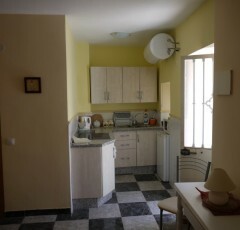 There are three good sized double bedrooms all with built in storage and aircon units , each one also has its own access to the surrounding porch.A spacious family bathrooom with built in storage completes the internal spaces. 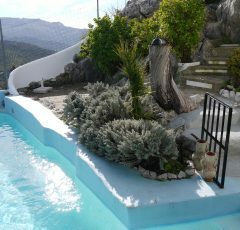 Outside is pure paradise ! 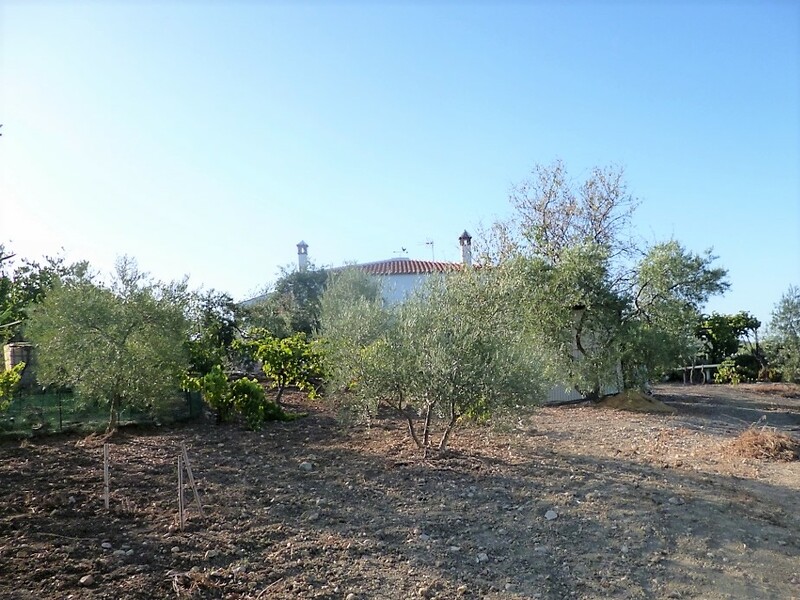 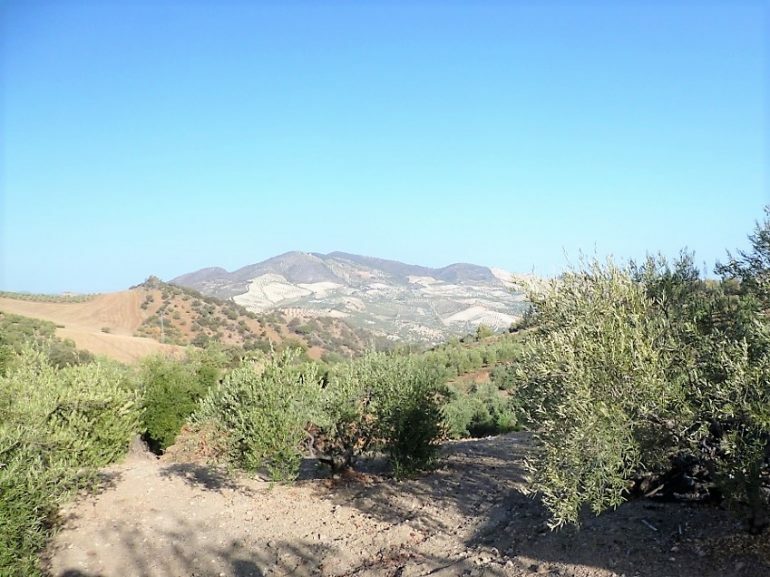 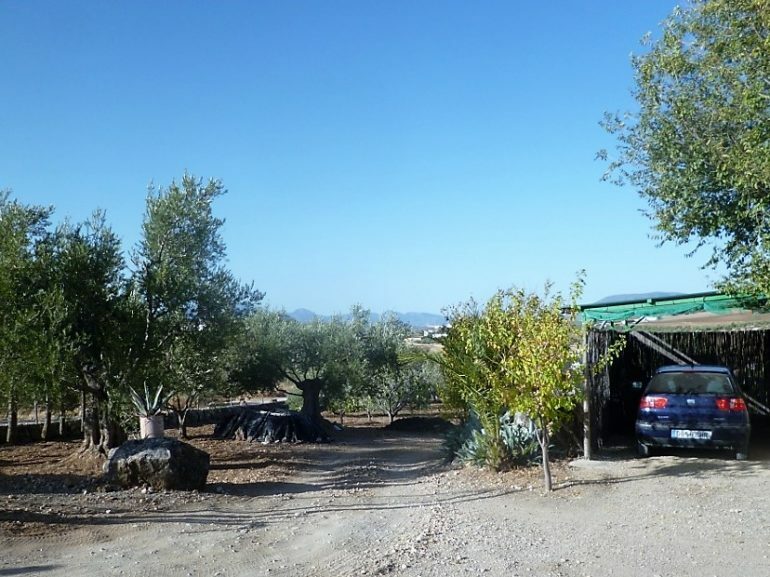 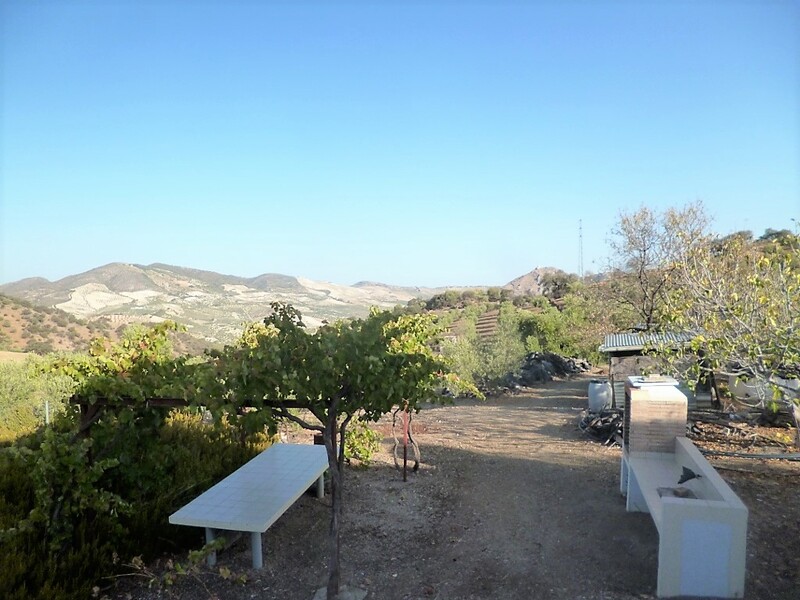 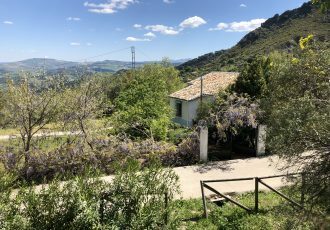 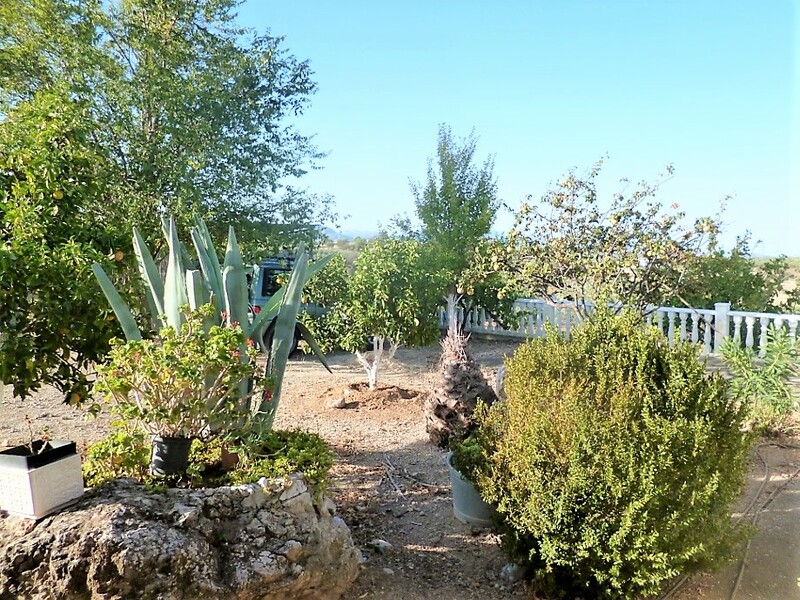 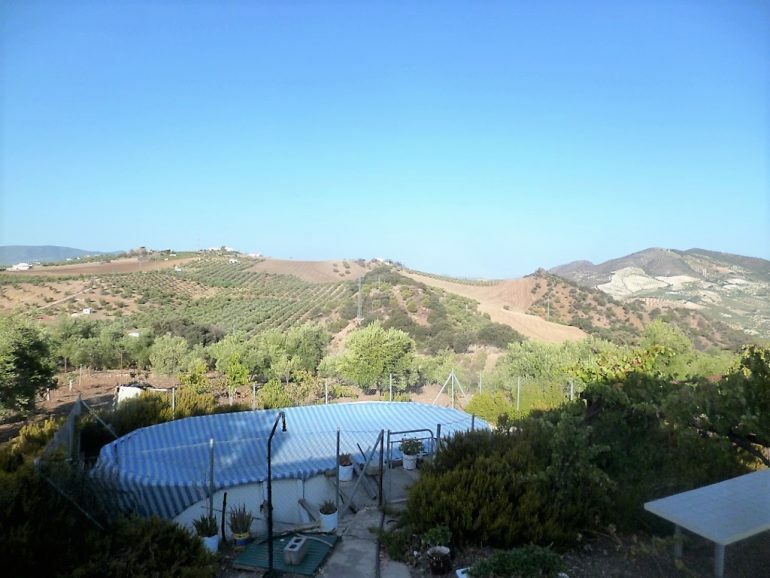 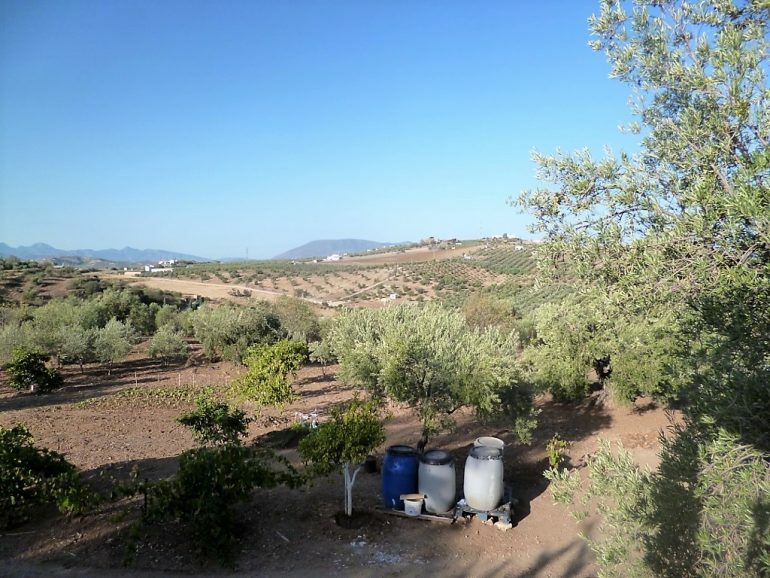 an olive grove with more than 150 productive trees surrounds you, the views are breathtaking , there is a rustic outdoor kitchen and a vine covered picnic area plus a fenced above ground pool to enjoy family times , 2 small outbuildings for chickens or dogs and an under build for storage. 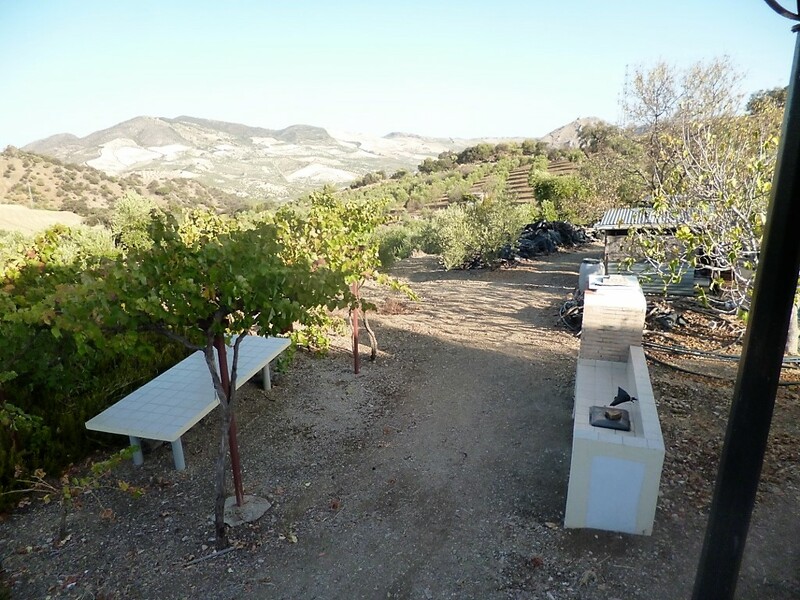 Grape vines , Rosemary and many almond & fruit trees are abundant and the only sounds you here are the birds ! 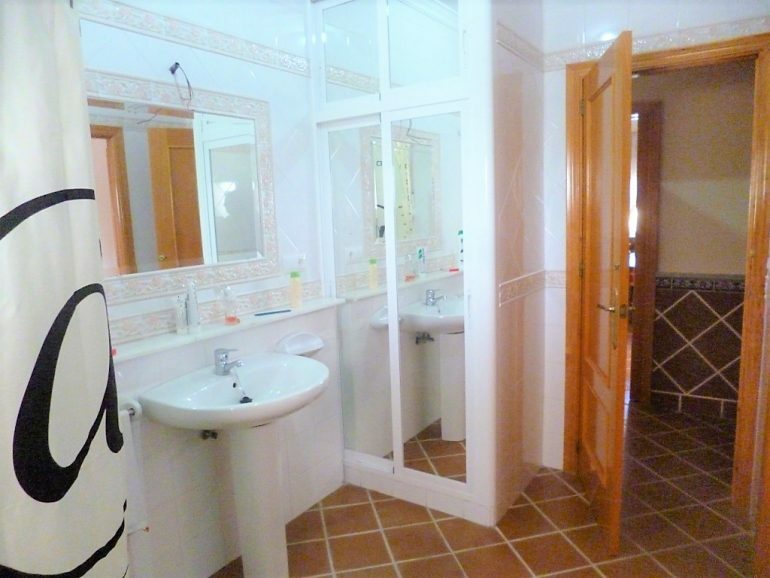 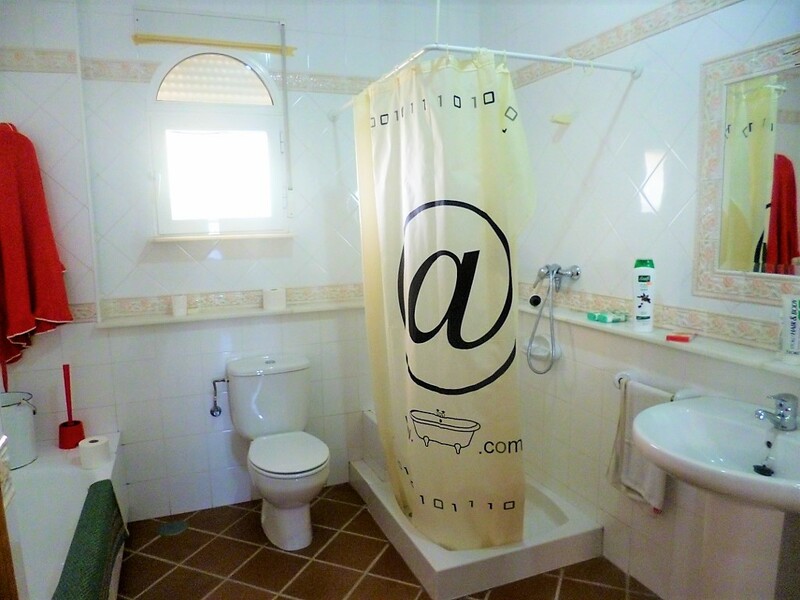 the property has well water which is automatically pumped to the house as soon as a tap is opened. 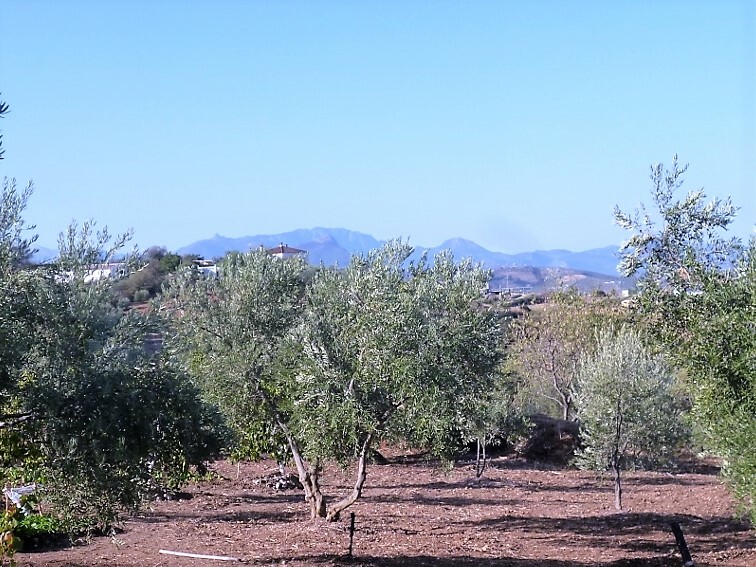 The land is very well kept and entirely fenced at the boundries. 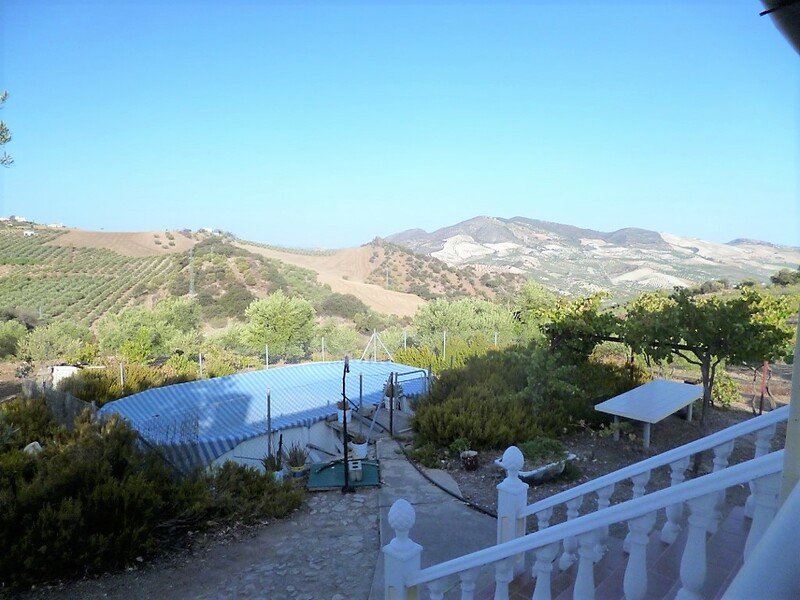 Literally everything has been thought of in this happy family home in the hills !